Art is a learning tool. It inspires new ways of looking at history, culture, and current events. Our educational resources work with your existing curriculum and address Common Core State Standards for English Language Arts and Literacy, including text-based discussion, evidence-based reasoning, and literacy development across content areas. 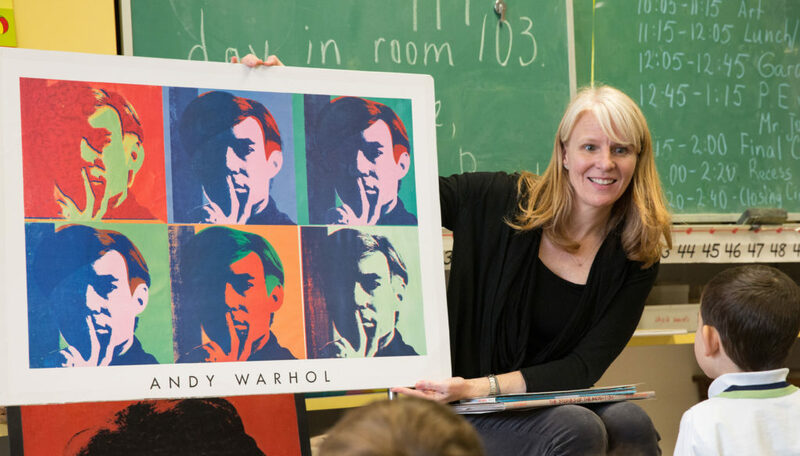 Bring SFMOMA’s Museum Guides into your classroom to lead hands-on art activities. Access our online educational resources to use in your classroom and the museum. Teacher programs at SFMOMA are designed to introduce educators to the museum’s collection and special exhibitions, offer techniques and resources for integrating works of art into classroom curricula, and provide a forum for dialogue and exchange.